DK Eyewitness Books: Fish is first on the list, as it represents the kind of kids' science book that we have come to love. The DK series is a reliable source of quality nonfiction books for kids. 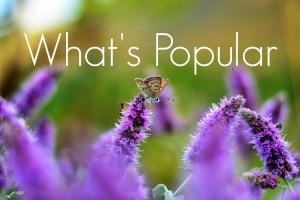 The layout of each page is what stands out the most: photographs and illustrations that splash across pages, each captioned with very informative text that helps the reader comprehend what is being presented. This book is a broad overview of the world of fish, which is another benefit for the student who wants to explore a new topic as thoroughly as possible. From early fossil specimens, to the wildest and weirdest species, to conservation issues and everything in between. 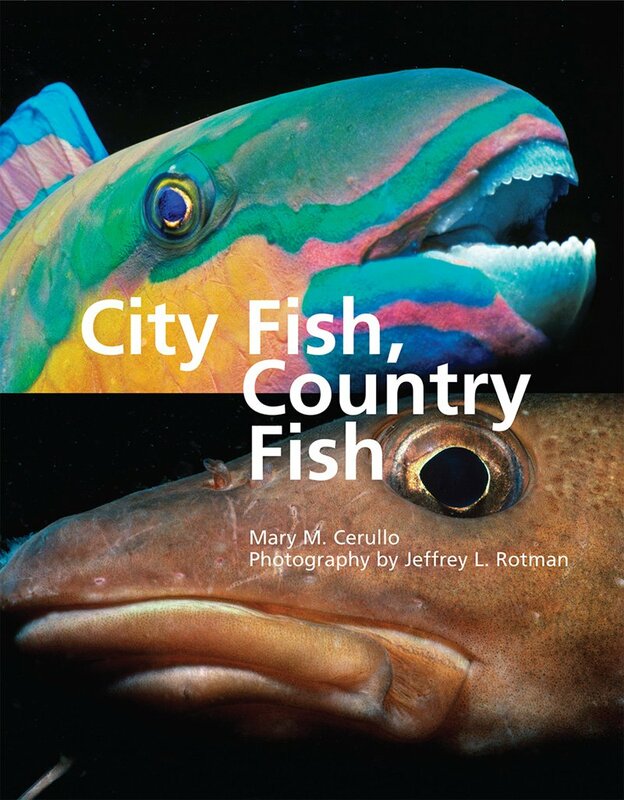 This is a good place to start for solid readers who love fish. 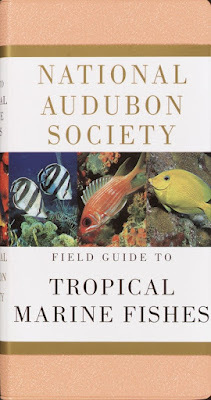 National Audubon Society Field Guide to Tropical Marine Fishes: Caribbean, Gulf of Mexico, Florida, Bahamas, Bermuda should be considered our "advanced studies" book this week. Dinomite, our 9-year-old wildlife expert, picked this one out, since he values books that are as fact-filled as possible. This one certainly meets that description. Featuring 400 pages of full color photographs of hundreds of specimens, followed by nearly 700 pages of species descriptions, this is one comprehensive little book. It's designed as a field guide (compact design and a flexible binding), so the print is very small and the information is quite dense for young readers. However, as a reference for the young fish enthusiast, it would be hard to find a better guide than this one, again without a single reference to fishing. 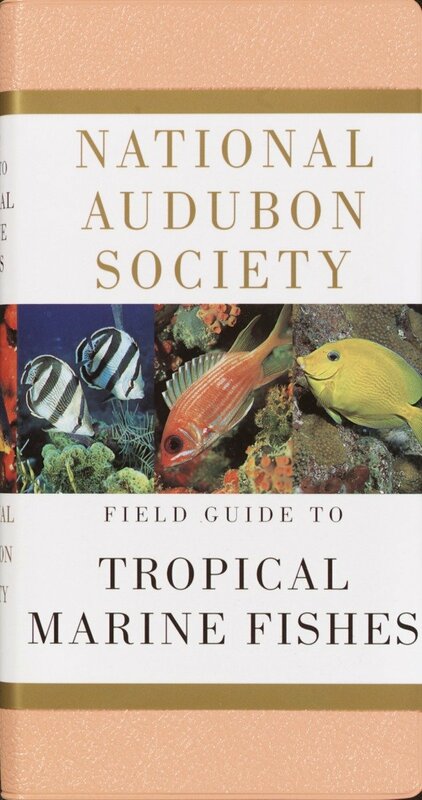 We chose this one because Dinomite loves sharks and many of the tropical fishes as well, but National Audubon Society has a whole series of books like this, each featuring fish from different regions around the world. 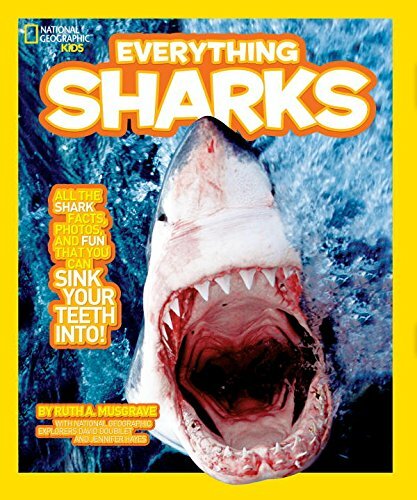 National Geographic Kids Everything Sharks: All the shark facts, photos, and fun that you can sink your teeth into is about the most accurate book title I've ever seen. No questions about what this book is about: sharks, sharks, and more sharks. Indeed, some of the images and facts about these incredible creatures are sobering if not altogether frightening. Yet, to their credit, National Geographic manages to balance out the grim stuff with some light humor and photos of peaceful interactions between shark and man. Basically, this book is a young shark lover's dream. Older shark fans will enjoy it too. City Fish, Country Fish takes the most creative approach to the problem of making fish more interesting to study. As we noted earlier, fish don't have much in the way of personality, so it's a challenge to entice young readers to read about them. 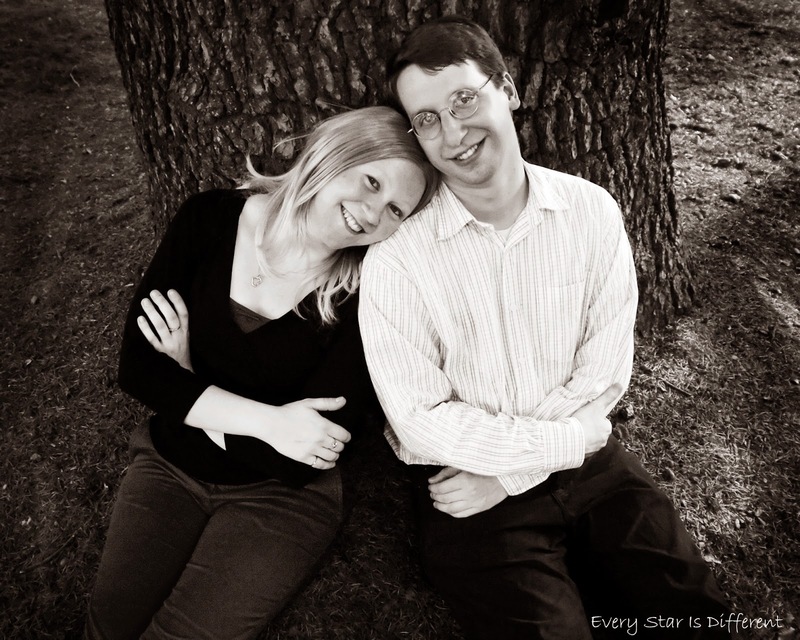 Enter Mary Cerullo and Jeffrey Rotman. It never occurred to me to think of coral reefs as cities, and open ocean as the country, but surprisingly, it works. The focus on habitat adds another dimension to the fish featured in the book; some character to go along with their beautiful colors and elaborate fins and scales. In all, it adds up to a reader-friendly experience, with amazing photography and a narrative style that makes it easier for kids to follow, rather than just bombarding them with facts. It's a refreshing approach that made this book one of the best on our shelf this week. Parrotfish (Nature's Children. Set 7) is a simple title from one of those book series that fill the shelves at your local library. The Grolier-produced Nature's Children Series is nice enough; they typically feature simple, straightforward writing that kids can read easily and understand, and feature lots of full-color photographs. So why include one here? And why parrotfish? Well, it turns out that one of the best approaches to the problem of making fish interesting is to focus on one species. In the Montessori model, students are encouraged to explore specific topics within a subject area as they work through the elementary years. Having materials available that highlight one species of animal, for example, can really help foster this self-initiated exploration that is so central to the Montessori approach. This is a good example of a book that meets that need perfectly. Seahorses is another great example of how focusing on one species makes for a more engaging and enjoyable book. 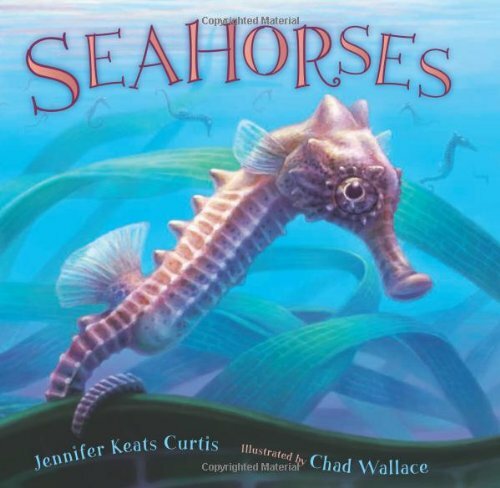 Jennfer Keats Curtis and Chad Wallace team up to tell the story of how a baby seahorse grows, develops, mates and raises its' young, all told with simple text and beautiful illustrations. Our kids, especially Princess, seem to really enjoy non-fiction books that are told in a story-like narrative. Seahorses are so unique in nature that a book about the seahorse life cycle is a no-brainer. But, the combination of Curtis' sweet, poetic text with Wallace's soft, dream-like pastels tell the story beautifully while sticking to the facts. A winning formula for most young readers. 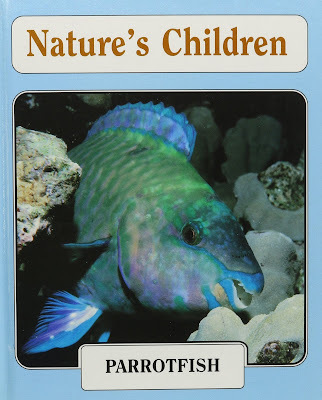 Crinkleroot's 25 Fish Every Child Should Know is a very simple, effective book from an author that we have featured a few times in previous book lists. Jim Arnosky is a favorite of ours, and his Crinkleroot alter ego is especially fun for the younger kids. Arnosky is primarily an illustrator, but his love and enthusiasm for nature shine through in the brief descriptions of animals that accompany his beautiful illustrations. 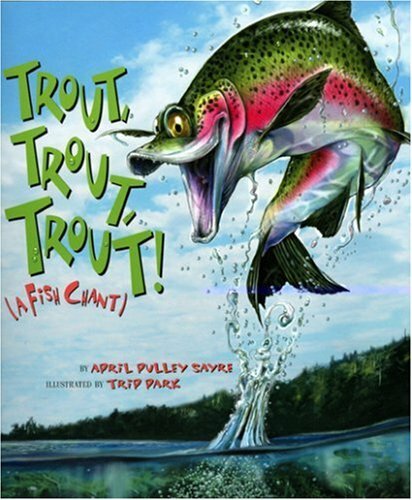 The Krinkleroot books focus on animals and fish that most children can find close to home or in a nearby lake or forest. This emphasis is great for inspiring outdoor exploration and discovery in young children, which is another major point of interest in the Montessori methodology. As of this writing, this book is available only through third-party sellers online, but several Arnosky books are available on Amazon. Trout, Trout, Trout! : A Fish Chant (American City Series) seems to give up on the question of making fish interesting, by focusing instead on how ridiculous some of their names are. The creative team (Sayre and Park) have produced a handful of children's books in the same style as this one. Park pairs his highly stylized paintings of each fish with the really obscure and hilarious fish names chosen by Sayre. Park seems to really relish illustrating them all of their absurdist glory. The rhymes are fun, and the chant-like nature of the text make it extra fun to read out loud. This is Bulldozer's favorite book on the shelf this week. 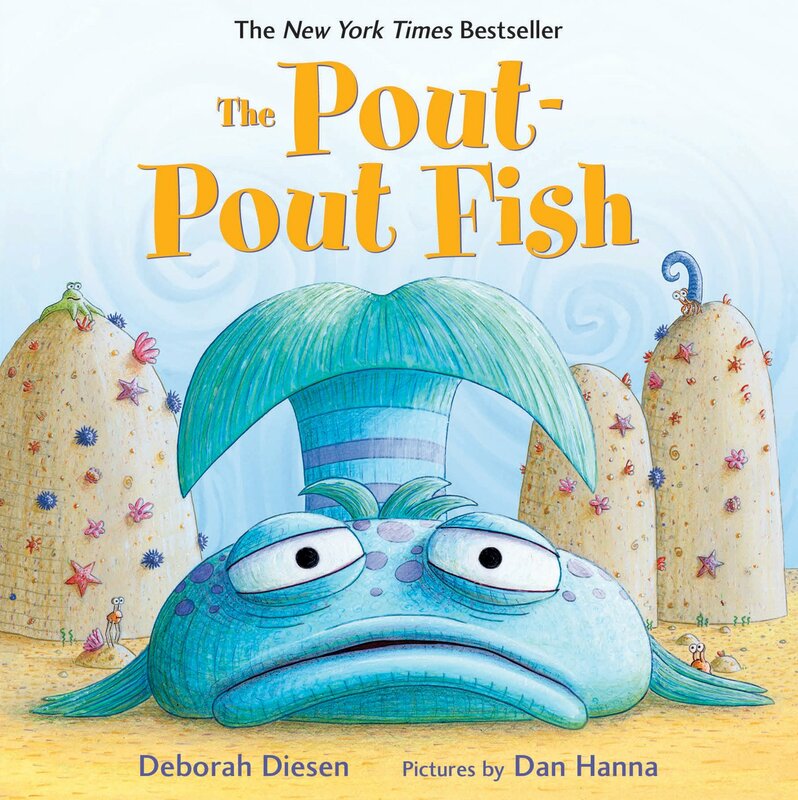 The Pout-Pout Fish is the only purely fictional book on our shelf this week, and what a choice it is. Deborah Diesen and Dan Hanna seem to have noticed that fish have no real personality, so why not make that the central premise of the book? The pout pout fish just looks sad and repeatedly tells all the other sea creatures that he can't get himself to look at things any other way besides, "blub, bluuub, bluuuuub." That is, until a new fish in the area appears on the scene and takes a different approach to cheering up the old pout pout fish. This story has a lot of fun rhyme schemes and clever fish-related word play, but the moral of the story is the key; positive and simple without being overbearing or heavy-handed. This book has become a huge hit on Amazon and is a New York Times bestseller. For us, the book lives up to it's reputation, for the simple reason that it finally gave us a fish with a personality. You can look forward to our newest fish unit coming soon! Mr. 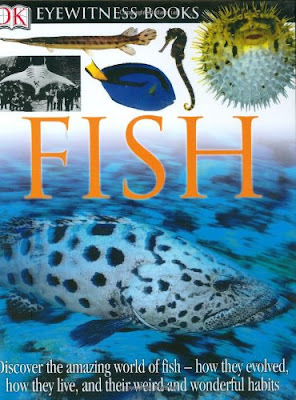 Fish (aka The Pout-Pout Fish) is pleased to be included on your book list! Happy fishy reading to all. These look like great books. 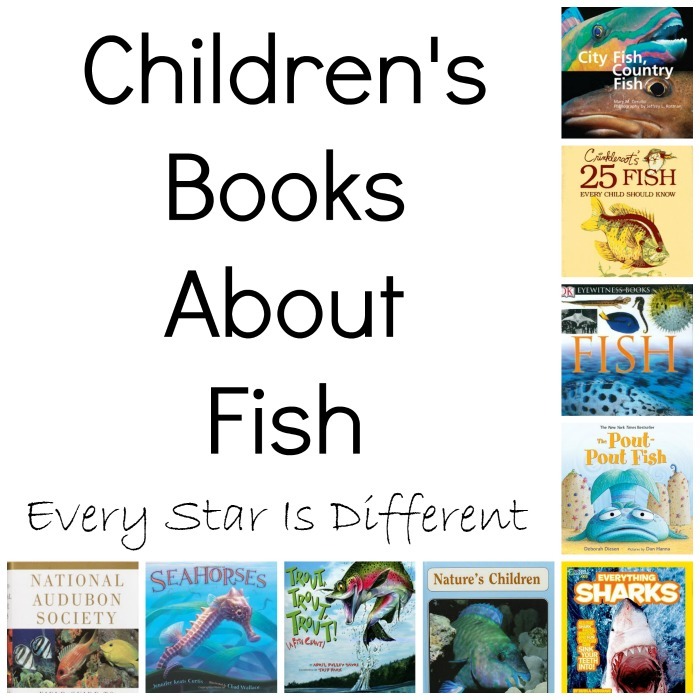 My oldest son loves reading bout fish and fishing (freshwater) while my middle son loves anything about ocean animals so I'll be pinning this list to my book board for sure. What a great collection of fish books!